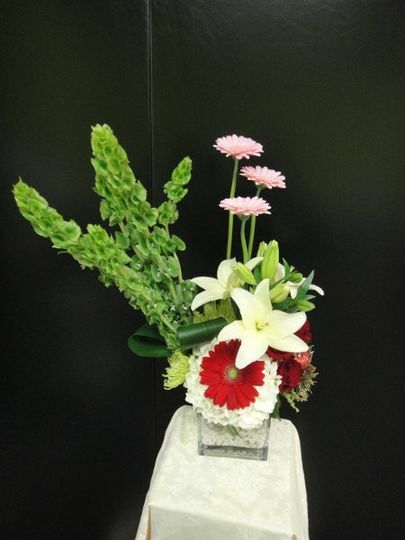 We Provide Our Brides With The Finest Wedding Flowers From Around The World! 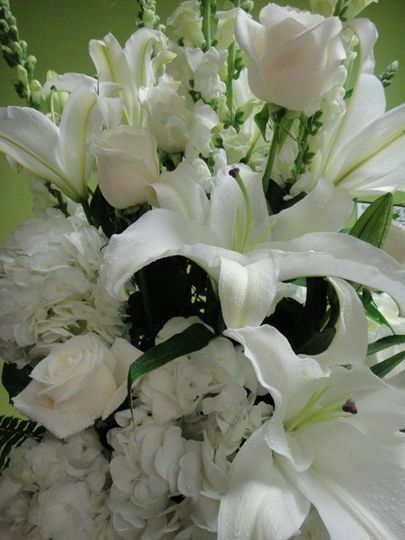 Wether It's One Arrangement Or A Thousand, Marivel's Florist Can Provide You With The Professionalism Of A Large Corporation But With The Courtesy And Kindness Of A Family Business. 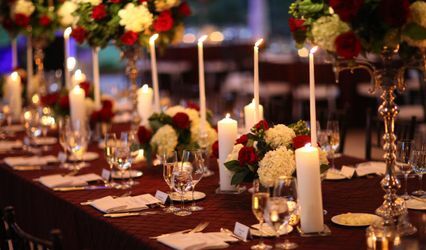 Our Wide Selection Of Fresh Flowers Along With Our Creativity And Experience Allow Us To Provide You With Stunning Arrangements To Decor Your Event. Let Us Help You Celebrate One Of The Most Important Days Of Your Life, Schedule Your Consultation Today! 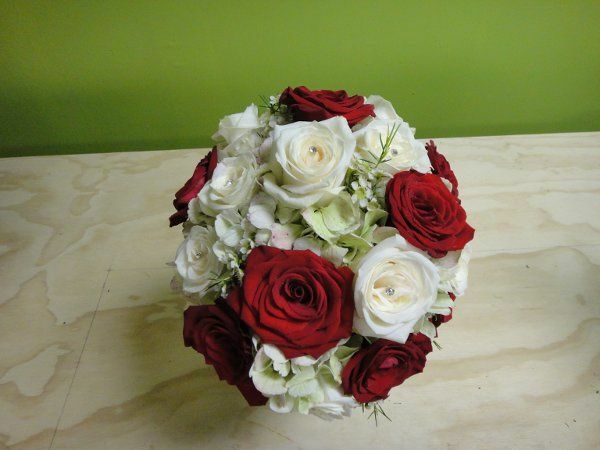 Red Roses, Mini Pink Gerberas, Ivory Roses, Pink Roses, With Queenannlace Hand Tied Bouquet. Pew Bows With Purple And Lavander Ribbon. 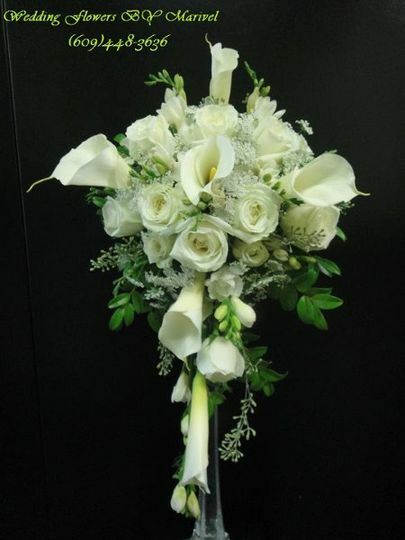 Bridemaids Bouquets With Brown Color Calas, Brown Hypericum Berries And Green Roses. Working with Marivel was a wonderful experience. I walked in having an idea of what I wanted and after meeting with another florist was a little dissapointed. 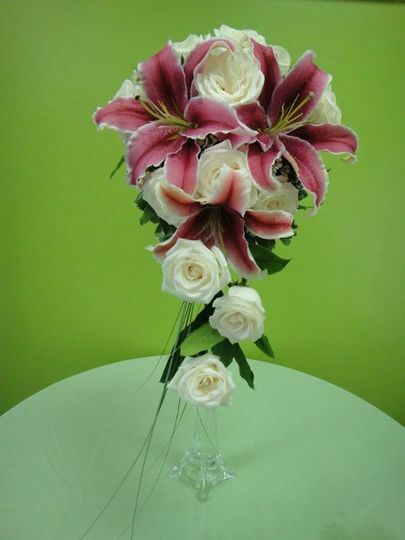 Marivel took my ideas and gave me suggestions, she knew which flowers were in season and what colors they came in. 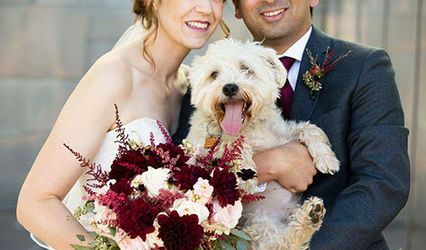 She created beautiful centerpieces and an amazing chuppah. She called me when she found out the vases we originally picked we discontinued and she had a couple choices for me when we needed to pick out a new one. I cannot thank Marivel and her team more! I told her exactly what I wanted for my wedding and she delivered. 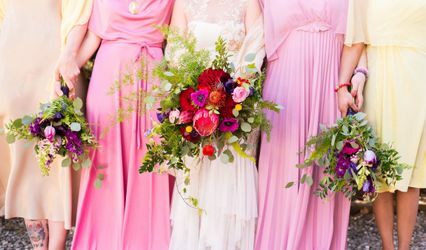 I have to admit that I was a little nervous because you don't get to see the finished product until it arrives, but my flowers were absolutely gorgeous and just how I imagined. 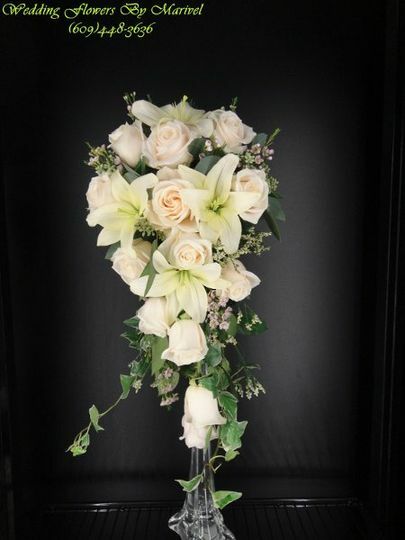 I highly recommend Marivels to anyone needing wedding flowers! BEAUTIFUL!!! 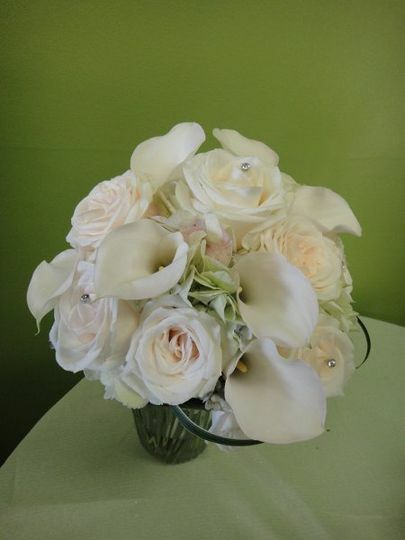 Marivel provided flowers for my wedding at the Windsor Ballroom and they were just beautiful. I walked in and had no idea what I wanted. All I did was give her my bridal party colors and she did the rest. They were absolutely beautiful. 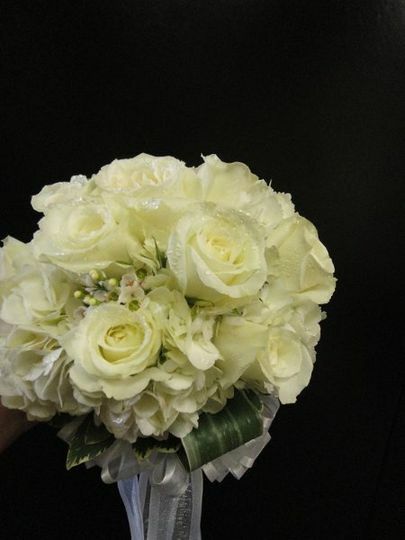 My bridal bouquet was just a gorgeous. I did not want anything too big but also wanted a little bling and she provided that for me. Pricing was fair, delivery was on time and all in all a great experience. 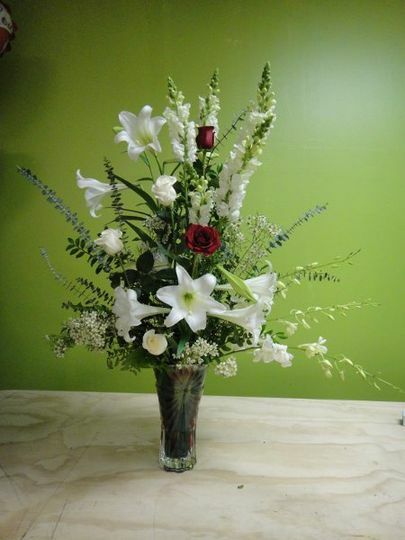 I highly recommend Marivel's Florist for any occasion.